Advantages: Accomplished authors; excellent format; interesting collection of period photographs; enlightening narrative; superb colour profiles. Conclusion: A welcome publication that takes a detailed look at building the Wingnut Wings Gotha G.IV. It’s packed with plenty of step-by-step instructions on how to get the most out of this kit and is complimented by Harry Woodman’s knowledgeable narrative of the aircraft itself. Coinciding perfectly with the release of the Wingnut Wings Gotha G.IV is this publication. It’s the first in a new series of “Modelling Specials” from Albatros Productions where each will focus on a specific type of aircraft. This edition tackles one of the most ambitious subjects to be released in 1:32 scale and the accompanying history gives the modeller a solid grounding in the subject. There are 44 pages between the soft card covers. The informative text is supported by an interesting selection of period black and white images, many of which have not been published before. The A4 format of this publication is excellent as it allows these to be printed to a size which gives maximum benefit to the viewer. Harry Woodman is well qualified to provide the detailed description of this famous bomber and he does so with an entertaining and easy to read narrative. This is backed up with his own artwork that illustrates the internal structure of the fuselage as well as the many forms of armament. Ronny Bar contributes a couple of his superb profiles and this is complimented by Jerry Boucher’s dramatic digital composite on the cover. 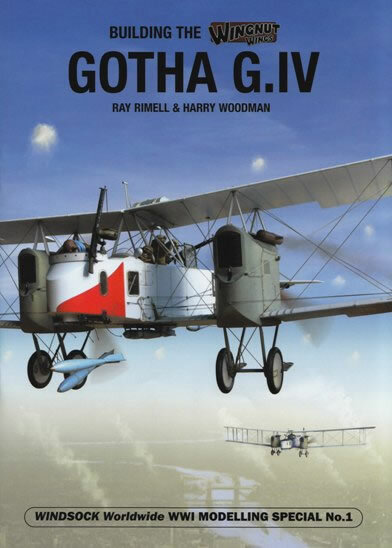 Dominating this volume is Ray Rimell’s excellent build of the WNW Gotha G.IV. Spread over 22 pages, it takes an in-depth look at this kit with plenty of hints and tips being offered along the way. 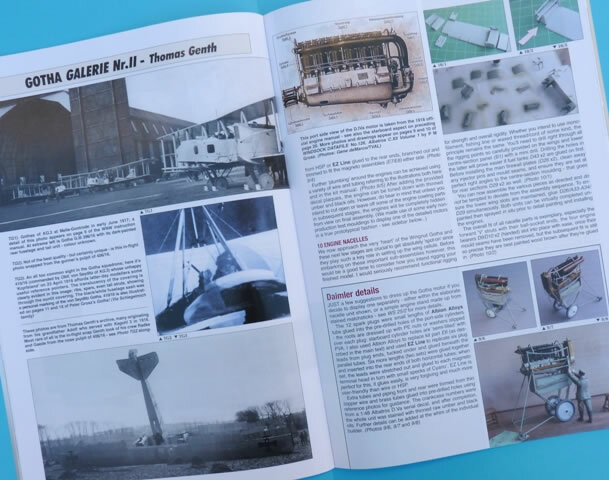 The reader is guided through every phase of the assembly, painting and rigging process which is covered by no less than 130 step-by-step colour photographs. 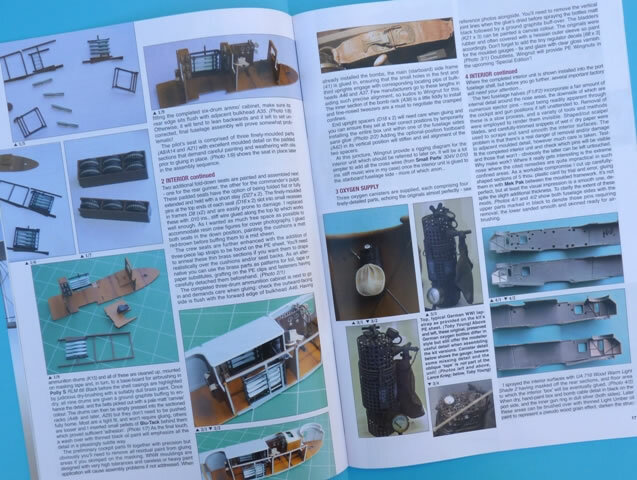 Also included is a specially commissioned feature that vividly describes the 7 July 1917 raid on London and rounding out the publication is a look at other Gotha kits that have been released in the past 17 years. Many moons ago, Albatros Publications treated us with their “Gotha!” Datafile Special and this is the perfect complement to it. Not only will it help you in your quest to build an improved WNW behemoth, it will also give you a better understanding of the subject itself.